I can’t think of a better way to spend your Saturday morning than in the middle of a space filled with beautiful pieces of contemporary artwork moving through a relaxing and therapeutic vinyasa. 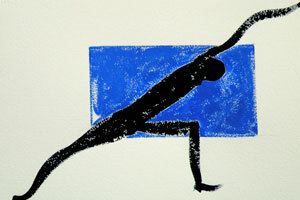 Right now the Aldrich Contemporary Art Museum is offering free yoga classes for all levels 10:30am-11:30am Saturdays. Come early with your mat because space is limited! Only 20 participants per session. For more information visit http://www.aldrichart.org/events/?id=930.